We establish a strong connect with our readers and trade partners to ensure a superlative product offering. Our signature twin contact program has helped us become No. 1 in most of the markets from the day of launch. Jaipur LaunchNo.1 from Day 1. A team of 700 surveyors went out into the field collecting insights, connecting with potential readers and getting advanced subscriptions. 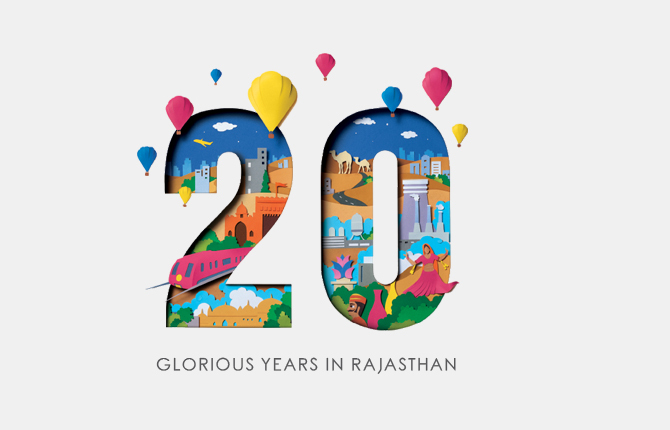 After meeting 2,00,000 households and understanding the reader preferences of the market, we launched Dainik Bhaskar in Jaipur with 1,72,347 copies, becoming No. 1 from Day 1. The value our readers saw in our product even before the launch led them to subscribe in advance, thus rendering us relevant to advertisers. Bihar LaunchEncouraging Bihar to speak up for their rights. Bihar had the highest priced newspapers in the country, as a result of which people were extremely dissatisfied. On conducting our signature door-to-door survey, we discovered that the readers were unhappy with the price as well as with the content in the existing newspapers. So we launched a massive advertising campaign - 'SPEAK UP BIHAR' which encouraged people to speak up against high prices and demand a better product. We then developed a newspaper that was priced, packaged & curated according to our readers' preferences thus becoming No. 1 from Day 1. The impact of this campaign was such that it led to the competition slashing their newspaper prices even before we launched! Chandigarh LaunchNo.1 from Day 1. Before we launched Dainik Bhaskar in Chandigarh, it was considered to primarily be an English-speaking market. However, our direct interaction through an in-depth survey of 2,20,000 households helped us understand exactly what they wanted - good design, quality content & preference for more 'Hinglish' over English! And that's exactly what we delivered. Once again, Dainik Bhaskar became the No. 1 newspaper from Day 1 in Chandigarh. We have established our thought leadership through many of our campaigns, reader engagement initiatives and product offerings; hence driving enhanced value for our readers and advertisers. Practices like #nonegativelife set a bold and innovative trend that helps us stand out in the market. #nonegativelife is an initiative to honour the good that persists against the bad and the ugly. It is a platform for those who believe that a good change must start with each one of us. And that there is never a better time to start than today. In short, it is a movement for a better world. An informative Sunday jacket for an enriching end to the week. We believe in delivering value to our readers. Therefore we came up with a Sunday jacket that's a power-packed compilation of content based on extensive research. Inspirational, educational and immensely knowledgeable, it sets a trend by breaking away from the norm of Sunday newspapers being in the leisure-reading space. Consumer delight is the basis of everything we do. Not only were we the first newspaper that came up with a fragrance - Gulal on Holi, we also came up with the first 3 dimensional newspaper. Because we believe in surprising and delighting our readers with everything we do. We follow a logical and data-driven approach in all our endeavours. This ensures that we are able to deliver market intelligence to our stakeholders. We deliver market intelligence to our stakeholders. Marketers targeted Maharashtra, a high priority market, with a skewed focus on Mumbai, while considering the rest of Maharashtra as a single entity. Even within this ROM region, Pune and Nagpur attracted more advertiser focus as compared to the other areas. Therefore, heavy spends were allocated to these regions. However, research reflected the immense market potential of the state beyond Pune and Nagpur in the ROM region. So we decided to break the marketer's habit of only targeting fewer regions and highlight the potential of this often overlooked region. This meant doing a complete rehaul of the current ROM market scenario and packaging it in such a way, that it would attract more marketers towards that region. 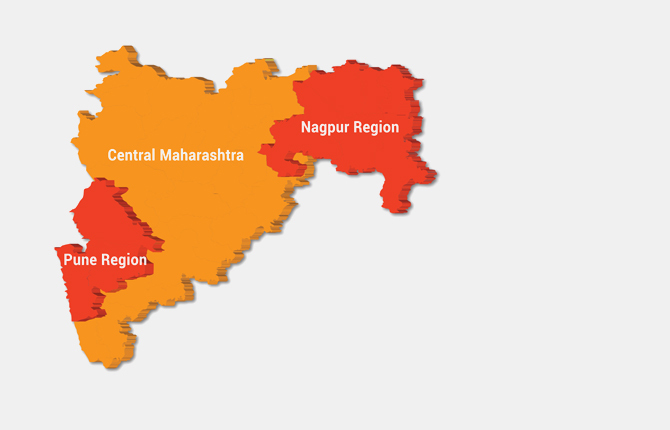 We branded this geography as 'Central Maharashtra' and undertook high-octane direct marketing efforts to bring forth the market potential of the region. Data highlighting the potential of Central Maharashtra was presented to the marketers. While this got the marketers to re-evaluate the spends allocated to this region, it also helped leverage higher price and volume of advertising in Divya Marathi - Maharashtra's Only Independent Newspaper. Surat is India's 10th Metro that's been selected for developmental projects under the Smart Cities Mission. Out of the Total 58 Lacs population, 18 Lacs are from Hindi-dominated states, who had no access to Hindi Newspapers. A team of 450 surveyors connected with the Hindi speaking households to understand reader requirements. The product prototype was presented to the readers. Dainik Bhaskar booked 63,000 copies at the time of launch of it's Surat edition. Result driven orientation is an important part of our everyday work ethos. We are metric driven in our reader connect, business operations and in our measurement of stakeholders' satisfaction. UNMETROWe drive knowledge led agenda to help our advertisers expand their markets. 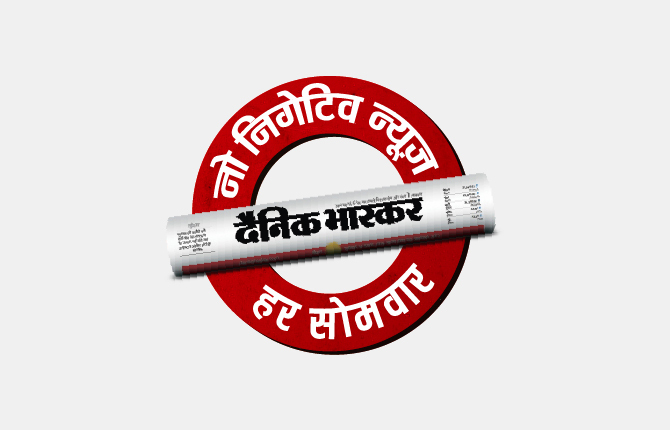 The Dainik Bhaskar Group has unprecedented reach in Tier II and Tier III cities, christened as the 'UNMETROs'. These are exciting, under-reported markets that are at the core of dynamic progress driving India forward. Rising affluence levels, changing consumption patterns and the desire to experience better lifestyles and enjoy global brands in these markets creates numerous opportunities for both national and international brands in India. And so, we as the Group are helping marketers, advertisers and media agencies gather critical information about this rapidly changing segment of the Indian population through our 'UNMETRO' initiative. This initiative explains the markets and possibilities of these cities through knowledge conclaves, campaigns and our property www.unmetro.in, thus helping our clients drive their market leadership. Our latest campaign "The Action Is Elsewhere" revolves around the fact that generally people have been enamoured by life in the metros, while the real action is brewing in the 'UNMETRO' heartland of India. Thus, stressing that the 'Action Is Elsewhere'. AHMEDABAD LAUNCHLargest direct consumer contact program in history. Before the Launch of our newspaper in Gujarat, our challenge was to create positive awareness about our brand and provide the latent needs of its 50 lac+ population. In the pre-launch phase, our strategy was to empathise and involve the people to create a newspaper FOR and BY them. First, we conducted discussions with 48 Focus Groups to evaluate our strategy. Next, we targetted a survey for 12 lac households. Within less than 2 months, using about 1,450 intensively trained surveyors, we were able to complete our market research with a total of 8,02,237 households in Ahmedabad (Door-to-Door) and 2.95 lac households individually surveyed in the 6 surrounding target areas - the largest consumer contact survey, by any print media company in history. Our pre-launch was supported by an exciting 'Curiosity' campaign, a tele-marketing team, and the distribution of unique Ahmedabad handbooks and calendars. We launched Divya Bhaskar in Ahmedabad with 4,52,000 households as confirmed subscribers - the highest number achieved by any newspaper on its very 1st Launch Day. We further expanded our reach to a circulation of over 1 Million, spanning most of Gujarat.